News reports indicate that Jamie Dimon has maintained his dual role at JPMorgan Chase (JPM), after shareholders voted down an initiative to split the positions of CEO and chairman at the firm's annual meeting in Tampa, Fla.
Big win for Jamie Dimon with @cnbc reporting just 32.2% supported splitting Chair/CEO jobs at JPMorgan, down from 40% last year. The attempt to establish an independent chairmanship was driven by shareholders' desire for greater oversight at the bank, which lost $6.2 billion in a trading fiasco caused by a rogue trader dubbed the London Whale. Dimon has been accused of misleading investors and regulators about the magnitude of the problem, which he initially called "a complete tempest in teapot." 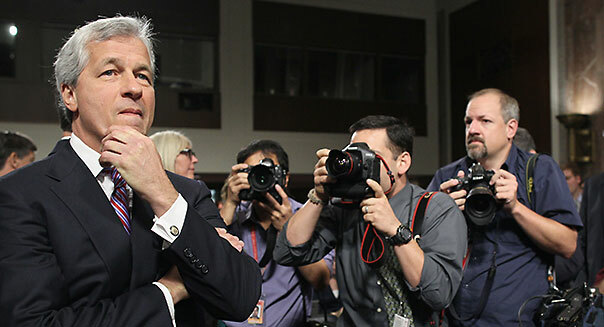 But, as Reuters points out, "Among big-bank CEOs, Dimon ranks first for stock returns," and he still enjoys the afterglow of JPMorgan's quarterly loss-less journey through the financial crisis. It also helps that Dimon has no obvious successor at the bank, so taking action that might drive him away is viewed as highly risky. Though Dimon's power remains undiminished, and all board members were reportedly reelected, lead director Lee R. Raymond told Bloomberg that the three-person risk committee could be reshuffled.